It has been a busy few months for Resource Generation (ASX, JSE:RSG) as CEO Rob Lowe and the team bring the Boikarabelo mine, located in South Africa’s Waterberg region, into development. Lowe has overseen a programme of putting the building blocks in place to ensure this project tips over into production. 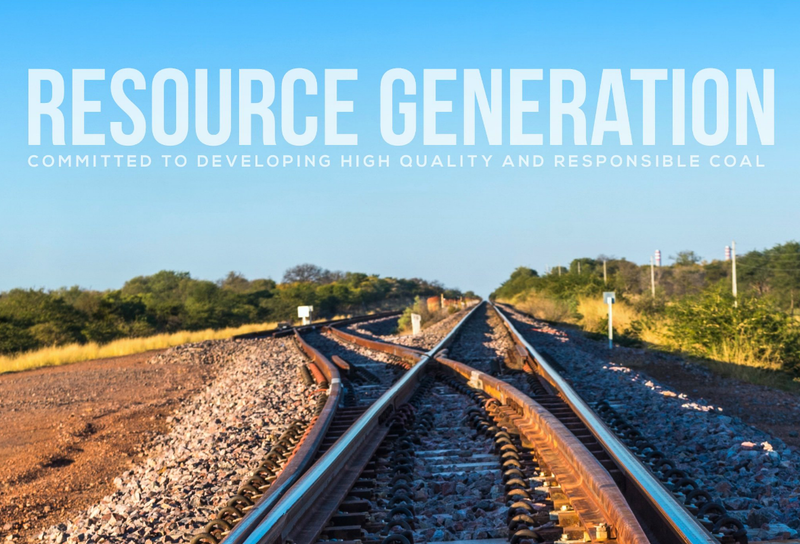 Resource Generation has agreed the commercial terms for a R5.65 billion debt fund, reached a deal with the local rail authority, Transnet Freight Rail, for transporting its coal production at an economically viable rate, tendered out the construction of the coal handling plant and contract mining, and completed a feasibility study on a coal-fired independent power plant on site. The cards are aligning for Resgen to dominate the opening of South Africa’s next coal reserve in the Waterberg from targeted first production in 2019. While securing the commercial terms from the South African-backed finance syndicate is a significant step forward in terms of completing construction, Resgen has already invested US$200 million into the project and have laid the foundations to construct the mine. The roads, accommodation and water infrastructure have all been built and several over rail bridges have been constructed. However, the company had to secure the balance to complete construction and on 8 August Lowe announced the agreement of commercial terms with the ‘debt club’ comprising; Rand Merchant Bank, Noble Group, the Industrial Development Corporation, the Public Investment Corporation and Australia’s export credit agency EFIC. “This is an extremely important milestone towards the construction and commissioning of the mine, which will be the second largest in the Waterberg region and will have a marked impact on the opening up of the Waterberg coal field,” says Lowe. The funding that has been committed to complete construction has enabled Resgen to enter into an agreement with Sedgman, a leading provider of mineral processing and infrastructure solutions to the resources industry, for the construction of the coal handling plant at the Boikarabelo mine. Lowe says Resgen chose to give the contract to Sedgman based on the execution strategy the company adheres to when appointing EPC contractors. Lowe explains the execution strategy; reduce risk on the company through turnkey lump sum contracts, hire experienced contractors with good track records and have the right to recourse in the event of failure or delay – Sedgman ticked all of those boxes. “Sedgman fitted all the criteria in terms of a good track record in the design, construction and operation of coal handling plants across the globe, it has a track record in Africa to which is very important to us,” explains Lowe. The contract will be with Sedgman’s South African subsidiary so it will meet all of Resgen’s obligations in relation to Black Economic Empowerment (BEE), which Lowe says was an essential factor. For Lowe, mitigating risk on the company is crucial as the programme for Boikarabelo develops. Having the expertise of Sedgman clearly reflected that policy. The final factor that led to Sedgman winning the coal handling plant contract was the value it offered Resgen, a result of the recent commodity price slump. Having originally budgeted for a $200 million contract, Sedgman ended up receiving a $141 million deal. ResGen also announced the second key contract recently. Stefanutti Stocks Mining Services has been appointed the preferred mining contractor and while there are still a number of details to be ironed out Lowe says it further demonstrates the company’s execution strategy for contractors. Another key development for Resgen’s project is the finalisation of the terms for the rail link. Resgen are in ‘advanced discussions’ with Transnet Freight Rail to construct the link from the mouth of the mine to the Lephalale-Witbank main line. The rail link represents a vital step in opening up the Waterberg coal field according to Lowe as it proves the region’s viability in terms of transporting product. “Transnet has the expertise and track record and are best placed to be construct and own the rail link. “We have finalised the tariff that would be payable to Transnet for the transportation of our domestic and export coal and that tariff is very favourable and one that renders the project absolutely economical. Alongside bringing Boikarabelo into development, Resgen are also pursuing a coal-fired independent power plant at the project. The company currently has all the main approvals in place for a 240MW IPP including the environmental impact study, the water use licence and the land use licence and is on schedule to participate in South Africa’s Department of Energy’s second window for IPP procurement which opens early 2017. Lowe identified that the first world is no longer embracing fossil fuels and has consequently realigned the company to be focused on the host country South Africa. He says financiers in Europe, the US or Asia are reluctant to fund new coal mines, however it is a different story in South Africa. The project is one of the first examples of the public and private sectors collaborating to finance a new mine. Lowe is excited about the partnership model and what it could mean for South Africa on a wider scale. “The project has become a great example of how the private and public sectors can come together to get a very substantial project like this across the line. Lowe is confident that coal will play an integral part in the South African energy mix for years to come. He says the country has such large reserves of coal and too much existing coal power infrastructure to move away from fossil fuels at this stage. While he accepts it is right to have a balance of energy, including renewables and nuclear, in his judgement coal will always be the biggest contributor of electricity to the grid. With the agreement of the commercial terms of the funding Lowe expects financial close by Q1 of 2017. Following that timeline, construction will commence in Q2 2017, he is expecting construction to be completed and the commissioning of the coal handling plant by the end of Q4 2018, the rail link will be commissioned in Q3 2018, the first coal out of the ground should be Q1 2019 and ultimately ramping up to full production in Q2 2019.